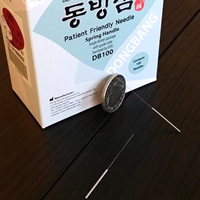 "In addition, there are specific techniques in western medical and Chinese TCM acupuncture practice that call for the needles to be strongly manipulated after insertion. I do not use these methods as they may cause discomfort to the recipient." "My aim is always to be as gentle as possible, for example Mrs S from Sprowston said "I have found Stephen's acupuncture to be virtually painless" ."